Sync iPhone Calendar with Android Device - How to! Since these are the times of keeping more than just one mobile device, big chance of you owning an Android and another iOS device. If you use the Calendar app a lot to keep a track of your routine, meetings and events, we know just how to make your life a little easier. Adding same calendar entries separately to both devices can be a pain; here is how to sync iPhone calendar with Android devices! – Important read: iOS and Android Apps to Make your Online Presence More Secure, More Private! 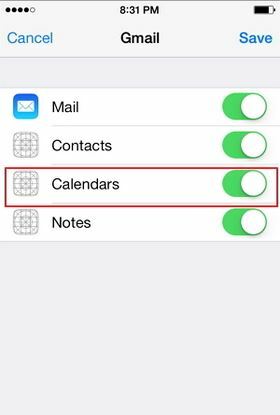 On your iPhone, go to Settings app and select Mail, Contacts, Calendars. Select Add Account > Google > enter your Google account details. During the setup process,make sure Calendars switch is on. When asked, select to keep local calendars on your iPhone instead of deleting. On iPhone’s Home screen, launch Calendar app. Tap on calendar event that you want to transfer and you’d see the details. On the menu, tap on Calendar > Google or Gmail account. Make sure Google account name checkbox is checked. Once the phones sync, you will be able to see that event in both your devices! On iPhone, go to Settings > Mail, Contacts, Calendars > Add Account and set up your iCloud account; allow your iPhone to sync your local calendar to iCloud. On the web browser of your PC, open www.icloud.com and login to iCloud account. Click on Calendar icon and then on Share Calendar button on the left panel. In the popup, check Public Calendar and copy the sharing URL that appears below it. Open a new browser tab and paste the URL. Change webcal to http in the URL and then enter. It will download a file containing all your iPhone calendar entries. Save the file on your computer and rename to something readable with ics extension like calendar.ics. On your web browser, login to Google Calendar. Click on the menu arrow just beside the Other Calendars. Click on Import Calendar and locate / select the ics file you downloaded from iCloud and click the Import button. Once imported is done, you will see all the imported entries in Google Calendar and they will be available on your Android device too. 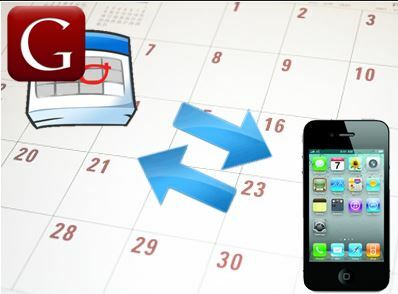 We hope the above two methods help you sync iPhone Calendar with Android. However, if really need some very simple and instant solution that could sync calendar entries, buy the SmoothSync for Cloud Calendar app by Marten Gajda. The app will establish a seamless iPhone to Android connection for instantaneous calendar syncing. SmoothSync is available for $3.00 on Google Play Store.